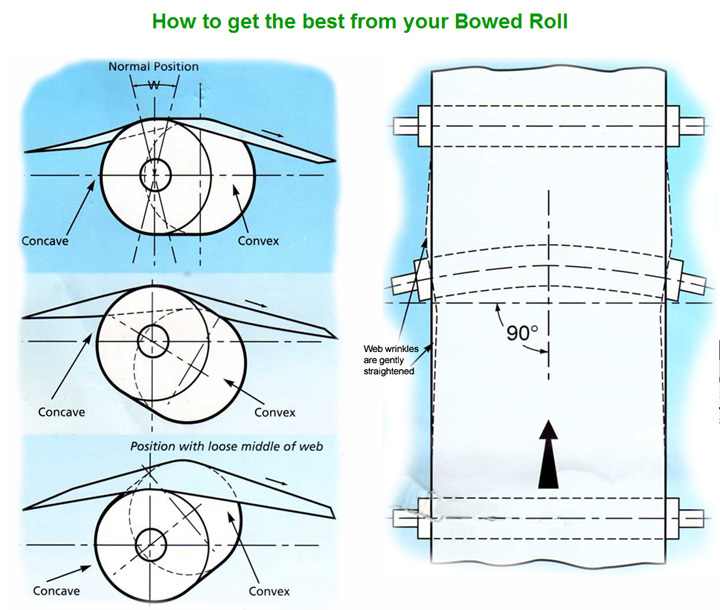 Spreader rolls or ‘bowed’ rolls or ‘banana’ rolls are used in most manufacturing processes that produce a continuous web or substrate. Examples include textiles, plastic-film, paper manufacturing and the various converting industries. 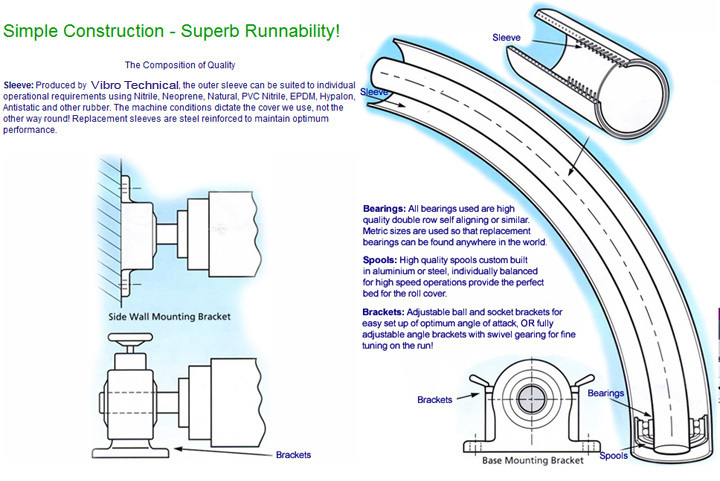 To satisfy the extensive requirements of these applications, Vibro Technical manufacture a comprehensive range of new ‘Vbow’ metric-sized rubber covered spreader rolls, from 75 mm to 300 mm diameter, suitable for both wet and dry applications. A full roll refurbishment service is also available, with both metric and imperial sized spreader rolls regularly restored to their original OEM condition in our purpose built facility in Cheshire.